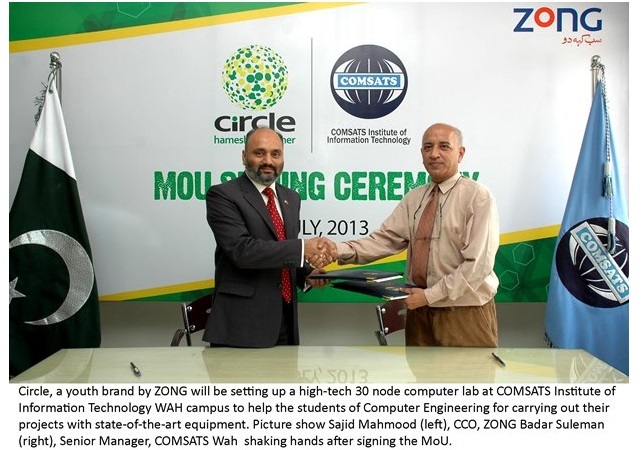 Circle, a youth brand by ZONG – the international brand of China Mobile; will be setting up a high-tech 30 node computer lab at COMSATS Institute of Information Technology WAH campus to help the students of Computer Engineering for carrying out their projects with state-of-the-art equipment. Not only this, the telecom giant will also be setting up Wifi facility at selected blocks of the campus to help the students stay connected for educational purpose. 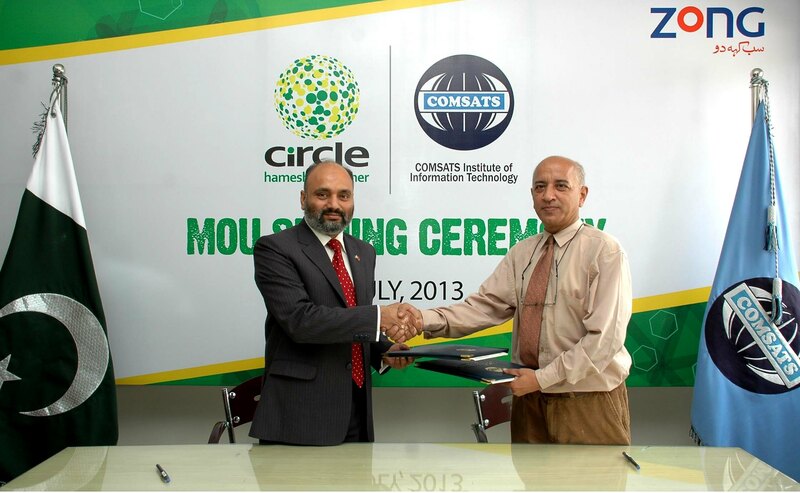 Circle has also announced that to provide SMS based solution to COMSATS for facilitating on campus communication between the management and students. This lab is to be used for study purposes; the computers will be ZONG’s property for 3 years and will then be handed over to COMSATS. ZONG is China Mobile’s first venture outside of China. It has initially established a state-of-the-art GSM laboratory and training centre at National University of Science and Technology (NUST) in November 2012 to liaison with the telecom industry’s needs by creating a bridge between the academia and the corporate world. The Commission on Science and Technology for Sustainable Development in the South (COMSATS) is an international organization. It aims to reduce the ever-growing gap between the developed and developing world through useful application of science and technology.